As a Nurses you spend all day walking around, lifting heavy objects and placing stress on your back. Therefore, it is important that you own a good pair of comfortable and supportive nursing shoes. A good pair of nursing shoes will not only provide you with comfort, they’ll also minimise stress on your legs and back, and will provide you with good all around protection. Let’s take a look at the 6 most comfortable nursing shoes according to other Nurses. 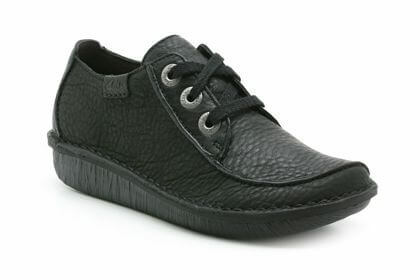 These are ideal for nursing associates, student nurses and registered nurses alike – good quality and comfortable. Clarks Un Loop have been rated the best shoe for healthcare professionals in the UK. An Unstructured navy leather slip-on with stitching and button detail for a handcrafted look. Ideal for people on their feet all day, this shoe is often described as the perfect pair of nurse shoes thanks to the uniquely lightweight sole, gorgeous underfoot cushioning and classic yet stylish appearance. 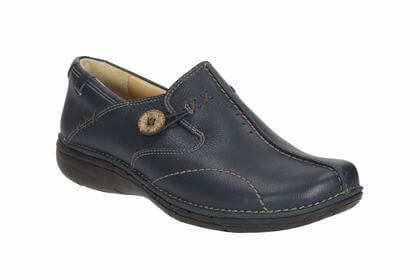 A navy leather upper is hardwearing and durable while breathable leather linings keep feet fresh and comfortable. Available from Amazon or Clarks.co.uk. 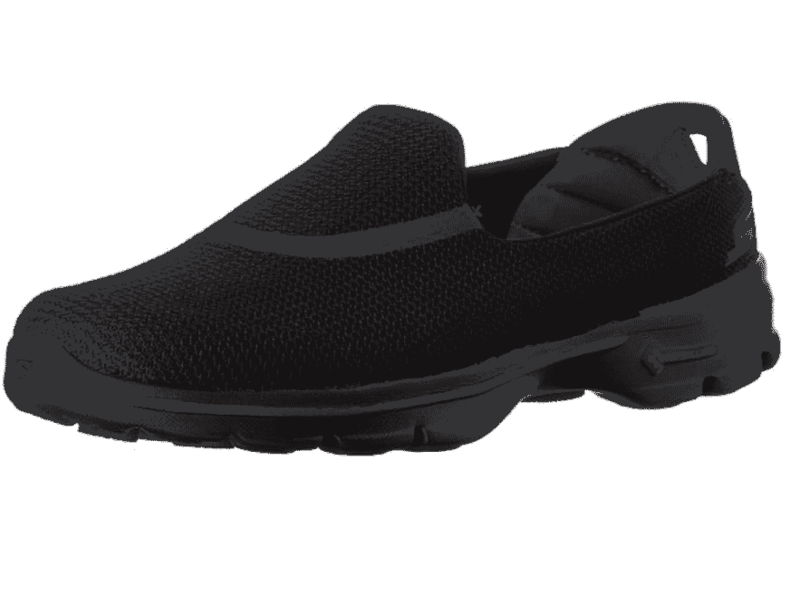 Everywhere you walk, comfort is sure to go with the SKECHERS Relaxed Fit® shoe. Soft smooth leather upper in a slip on dress casual comfort loafer with stitching and overlay accents. Memory Foam insole. Available from Amazon or Sketchers.com. All the style of the original Crocs Alice, but with the added work attitude. 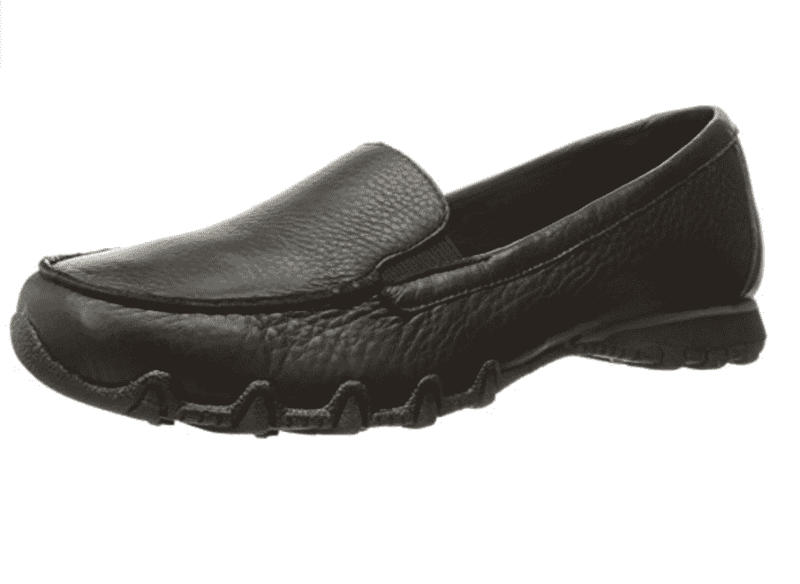 With our Crocs Lock tread on this style shoe you won’t want to wear another work shoe again. Slip-resistance and comfort rolled into one. Available from Amazon or Croc.com. 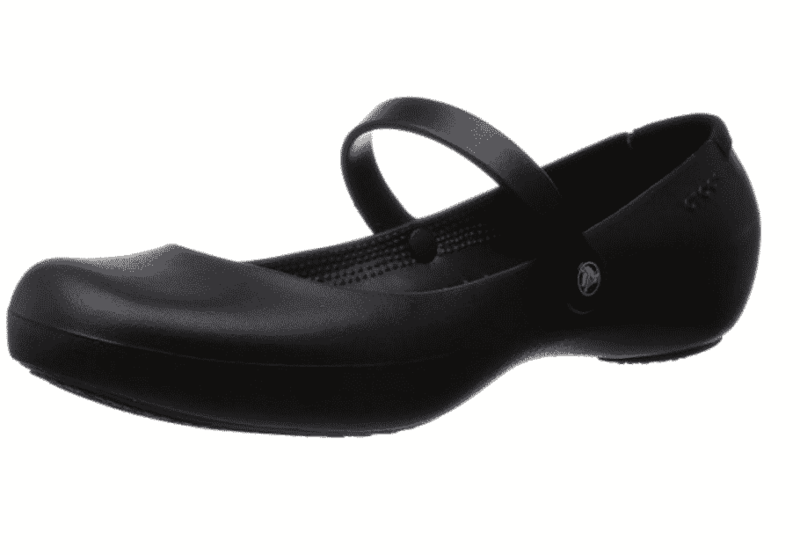 Crocs Bistro clog uses a tread design and Crocs lock which provides slip resistance that exceeds industry standards. To further protect your feet at work, these clogs have an enclosed toe, heel and a thicker metatarsal area. 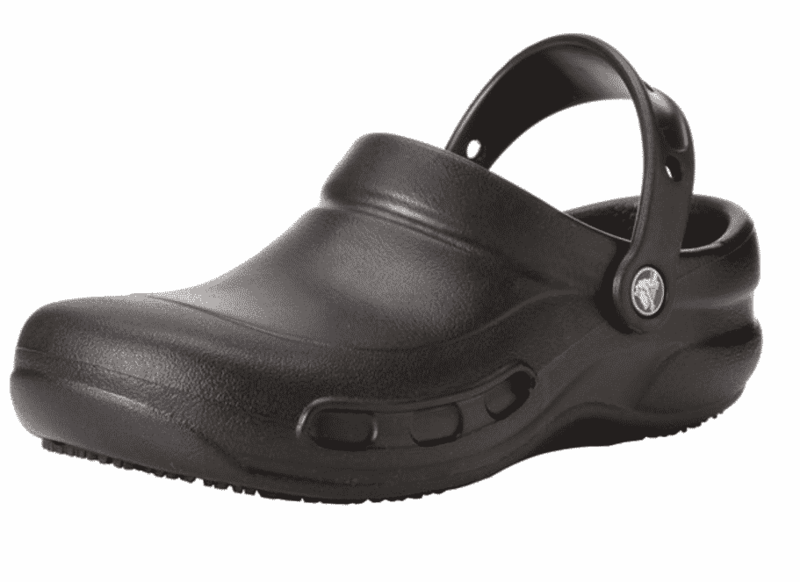 Crocs Bistro shoes are made with croslite material footbed for lightweight cushioning and heel strap for a more secure fit. These shoes give you a custom fit by conforming to your feet. Available from Amazon or Croc.co.uk. The Skechers GOwalk 3 sneakers for women’s features Goga Mat technology with high-rebound cushioning. Designed with Skechers performance technology and materials specifically for athletic walking. Stretch knit mesh fabric upper in a slip on technical walking sneaker design. From the archives, these women’s shoes are an Iconic casual style that ooze Clarks DNA. Reinvented for the 21st century Funny Dream are designed in an earthy, soft black leather while the chunky eyelet lacing and asymmetric stitched seam add handcrafted detailing. An everyday classic with ultimate comfort, finished with a curvy wedged sole. Available from Amazon or Clarks. Do you have a favourite Nursing Shoe? If you have a favourite that isn’t listed above – let us know in the comments section below. We’ll soon be bringing you the best shoes for Male Nurses.